The recently retired prime minister’s questions certainly weren’t in the spirit of his famous 1951 promise to the American Jewish Committee’s Jacob Blaustein not to play Pied Piper to idealistic Jewish youngsters in this country. But Blaustein, had he been present, would not have been worried. Only a few people raised their hands in response to the first question, and no one at all did so after the second one. Zerubavel is far from alone in highlighting such bleak moments in Israel’s history. But her book is not another indignant exposé of statist manipulation of distasteful “human material.” She writes not to condemn nor, for that matter, to celebrate the policies pursued by Israeli leaders in the 1950s but to situate them in the context of a broad range of “complex and contradictory” Zionist stances toward the desert in general and the Negev in particular. The biggest of the many contradictions Zerubavel discusses is between the Zionist longing to transform the desert and a longing to be transformed by it. The celebrated poet Natan Alterman, for instance, wrote “The Road Song” (1934), in which a road builder sings, “Wake up, wasteland, your verdict is decided / We are coming to conquer you!” The less well-known, countervailing tendency reflects the susceptibility of some Zionists to a “desert mystique,” which imagined both “the ancient Hebrews and the contemporary Arabs as close to nature, a quality that had been lost to Jews during centuries of life in exile.” In a 1912 story by Yosef Luidor, “a native Hebrew boy . . . rebels against school and adult authority, preferring to ride his horse and spend time with the Bedouins.” His immigrant Jewish friend sees him as “a desert figure whose black eyes burn with a strange, wild fire.” A little later there was the real-life Pesach Bar-Adon, an oleh from Poland who dropped out of the Hebrew University in the mid-1920s to live with the Bedouins as an apprentice shepherd. In the course of time, however, the Negev itself has been transformed more than the Jews who settled there. While development has not taken place on the scale or in the way that Ben-Gurion imagined, Israel has, in fact, made a large swath of the desert bloom. Beersheva has grown into a sizeable city, and its satellite suburban communities have flourished. Surprisingly, despite the fact that the Beersheva region contains more than half of the Negev’s Jewish population of 422,000, Zerubavel devotes only a few scattered paragraphs to it, focusing instead on smaller but more exotic developments, such as urban kibbutzim in development towns such as Sderot, new residential religious settlements in the center of the Negev, and the unusual expansion of individually owned farms. 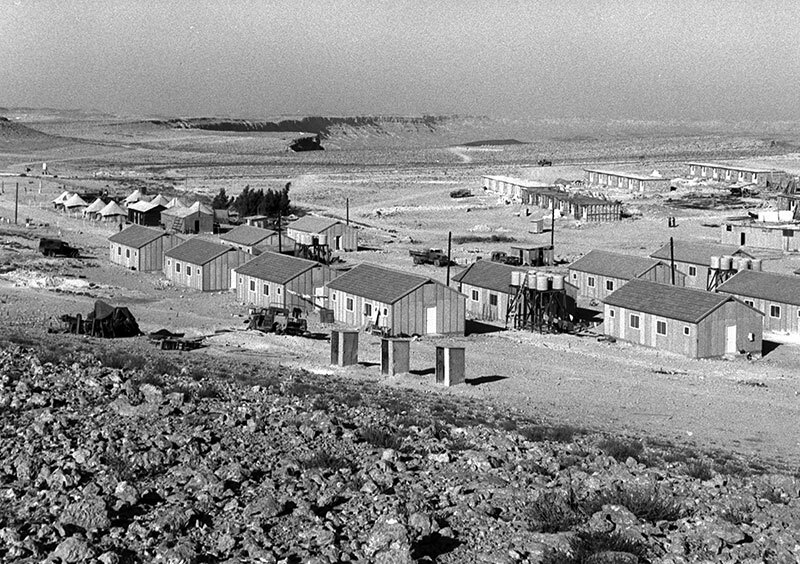 Much of the impetus to enhance and diversify Jewish settlement in the Negev has stemmed, in recent years, from what Zerubavel describes as the fear that “the fast-growing Bedouin population in the Negev posed a demographic and security threat.” The Bedouin population has mushroomed from around 12,000 after the exodus that took place during the War of Independence to around 170,000 in 2007 and to 249,800 in 2016, more than a third of the total population of the Negev. The Israel Land Administration projects that their population will reach 300,000 by next year (the Negev Bedouins have one of the highest natural growth rates in the world). Jewish fears that they will someday become a majority in the area are based, it seems, on real statistics. But are the Bedouins a security threat? As is well known, some Bedouins volunteer to serve in the Israeli army, but their numbers, as Zerubavel observes, have remained small (between 5 and 10 percent of the draft-age population) and are decreasing. This is largely a reflection, according to Zerubavel, of festering inequalities in the towns to which thousands of Bedouins were forcibly removed and the state’s refusal to legalize the “unrecognized villages” in which 100,000 Bedouin residents lack “the basic infrastructure of roads, running water, a central sewage system, electricity and public transportation to which legal settlements are entitled.” Dislocated, alienated, and impoverished, the Bedouins are becoming increasingly inclined toward religious fundamentalism and political radicalization. While taking note of such nightmares, Zerubavel does not prophesy catastrophe. Here and there, she even sees bright spots. 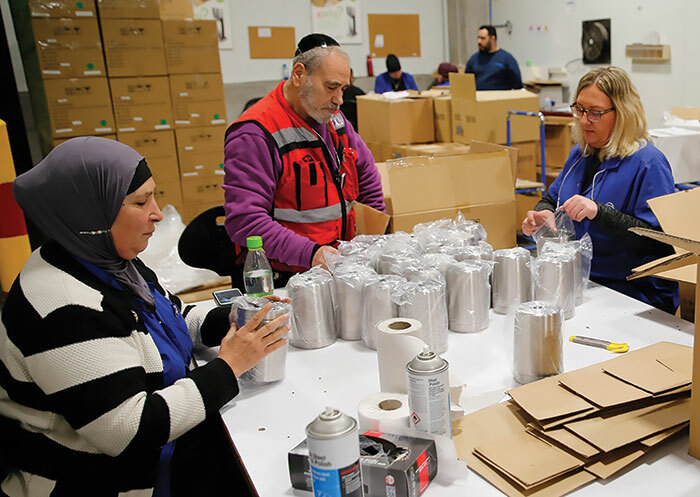 Things seem to be better in urban environments than in rural ones, especially in Beersheva, which “presents a range of formal and informal opportunities for Jews and Bedouins to interact,” including Ben-Gurion University of the Negev and the Soroka Medical Center. 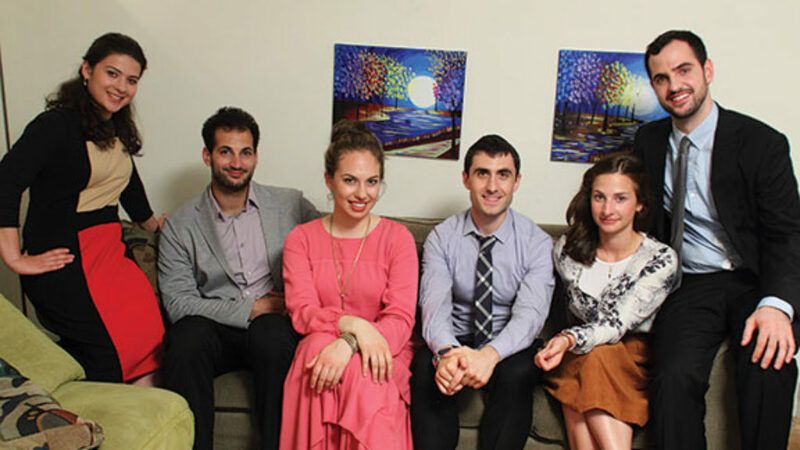 It is also the home of the Mizrahi women who cleaned her office, and she would often schmooze with them there around 11 a.m., “after they have finished the first part of their daily cleaning rounds and before their lunch break.” However, MotzafiHaller did the bulk of her research in Yerucham itself, where she interviewed a large number of men and women. 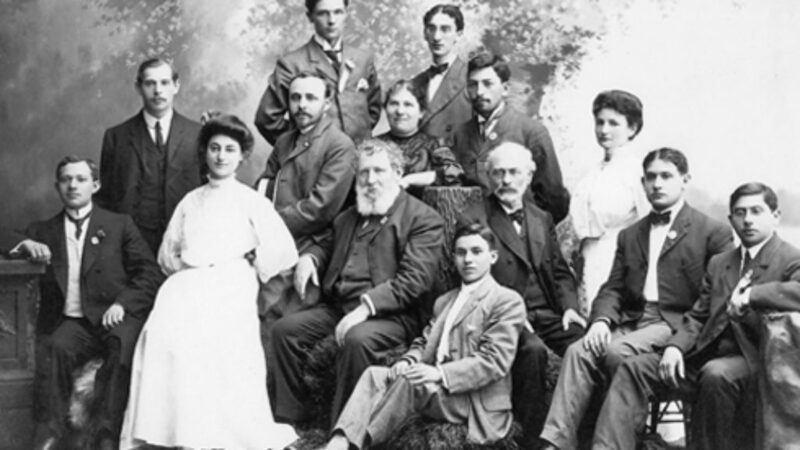 In the end, she decided to focus her book on five women whose lives reflect “the reproduction of ethnic-and class-based inequality in Israel over three generations.” The story she has to tell is both fascinating and surprising. Motzafi-Haller tells us about going to an interview at a nursery school in Sde Boker with one of her subjects, a mitchazeket named Efrat. At the school, they ran into Efrat’s older sister, a part-time cook and cleaner. The nonreligious sister’s tight purple pants and loose, faded sleeveless shirt contrasted starkly with Efrat’s modest dress, which radiated respectability. Efrat got the job. 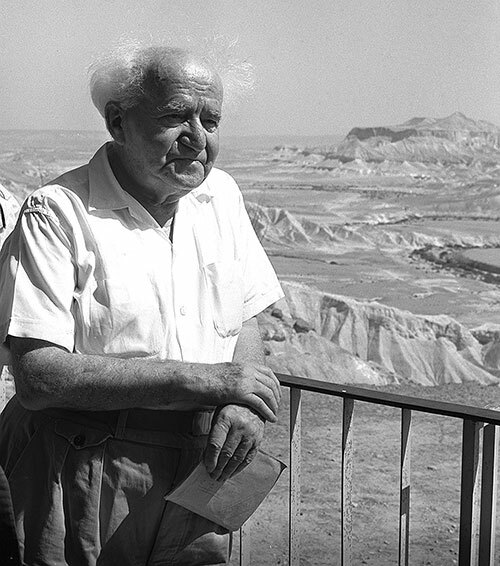 Things have turned out very differently from what David Ben-Gurion was imagining when he urged a bunch of American Jewish teenagers to come and join him in the desert. As both Yael Zerubavel and Pnina Motzafi-Haller demonstrate in their different ways, Israel’s effort to conquer the Negev has been incomplete and plagued with unintentional consequences, but they also both provide reasons for hope.